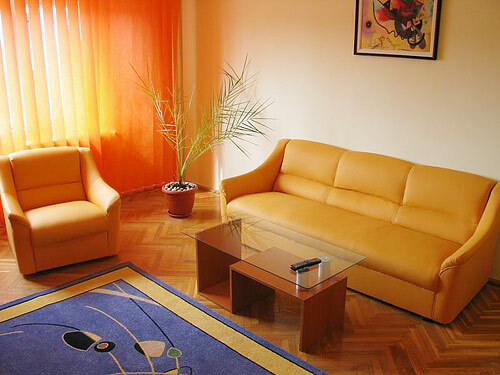 Accomodation Bucharest - Holiday Apartment in Bucharest, Romania. 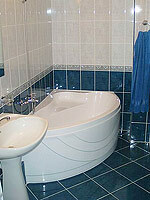 EastComfort offers accomodation in Bucharest. So if you need to arrange corporate housing, book a holiday apartment for short-term accomodation in Bucharest you have come to the right place. The apartament is a competitive accomodation alternative to hotels: a luxurious 3 rooms flat overlooks toward the beautiful central area. Fully furnished, it creates a homy atmosphere. The flat comprises a warm living room and two wide bedrooms (full sized beds, large wardrobes). The colors are used to draw a good sense of style. The nice kitchen is equipped for cookings and dine-in. There are two bathrooms: one with corner bathtub, the other with shower cabin. From its entrance hallway to the last room, the fine flat invites you to enjoy Bucharest's comfort of today!